Grosnor Distribution Inc. is a Canadian owned and operated sport collectable distribution company. Founded in '89, Grosnor is Canada's leading trading and game card distributor. 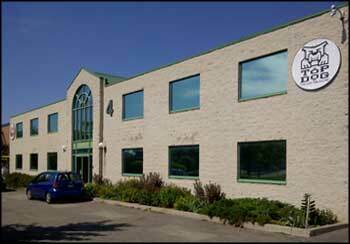 Our 50,000 square foot warehouse is located in Brampton, Ontario. Our goal is to provide retailers with one stop shopping and top of the line service. Customers find that our extensive inventory, and knowledgable staff meet all of their needs. More importantly, Grosnor offers a continuous supply of the latest, most popular releases. Local customers benefit from our walk-in cash and carry showroom. Here they can view and purchase hundreds of different cards and accessories. Out of province customers rely on our state of the art, computerized shipping department complete with an on-line tracking of all of our shipments, which ensures delivery.